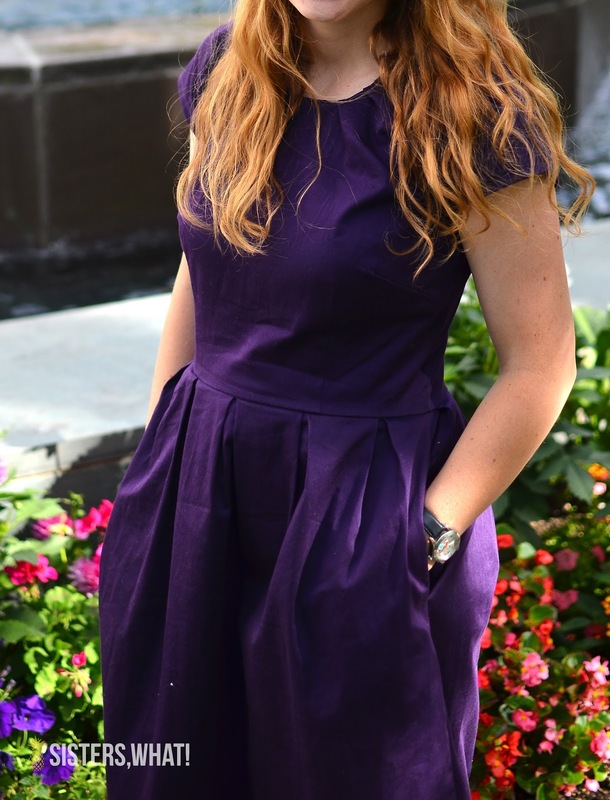 ' DIY Pleated Dress - a Sewing Tutorial - Sisters, What! 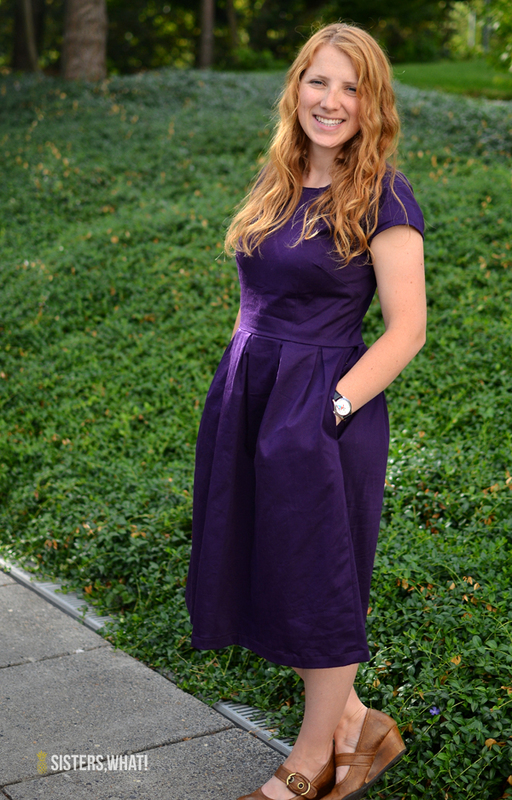 One of my favorite things to wear are dresses. However, since starting our little family, I don't get to wear them for as long as I like because between being pregnant and nursing, I haven't had much time to wear them. 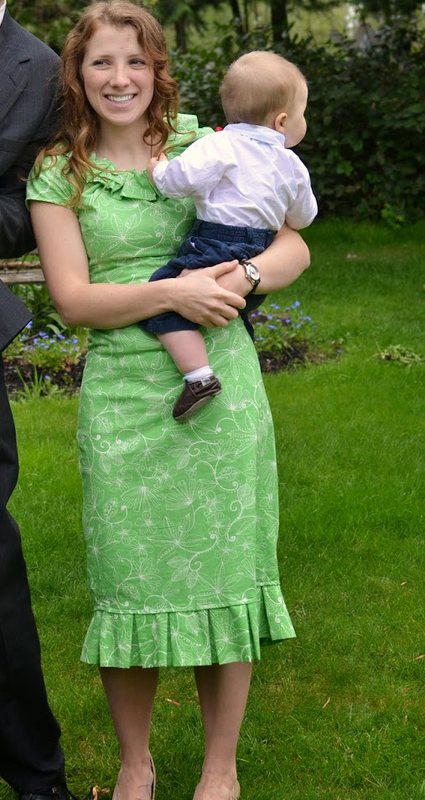 After being pregnant I itch to wear my dresses again. After having my first little babe, I made my first dress ever without a pattern. I was crazy to do it without a pattern; it was a Shabby Apple knock off and I couldn't afford the real thing. After a many prayers and a miracle I pulled it off. 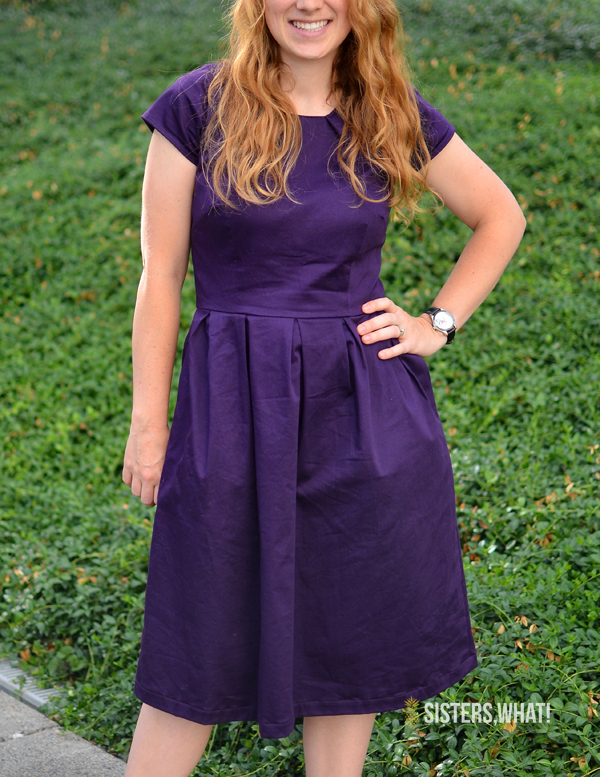 Anyway, my sister just got married this past June, so I thought it was a perfect excuse to make another dress. Not like I needed an excuse : ). This time I used a partial pattern for the top. 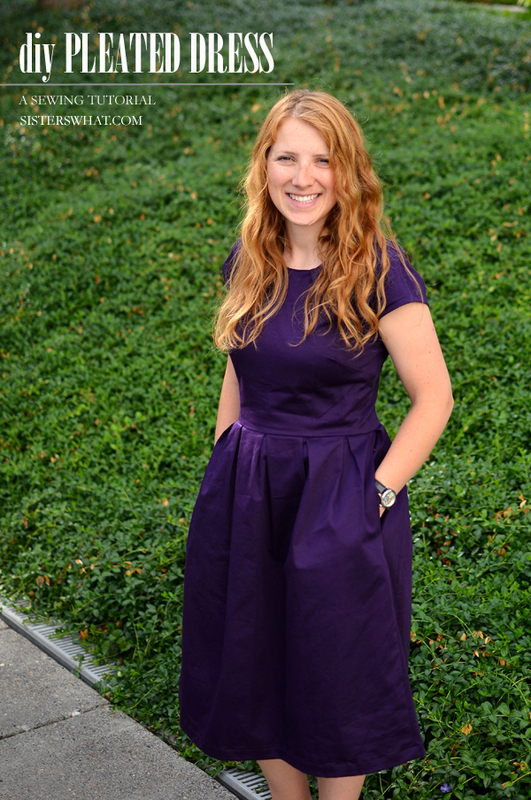 I wanted a pleated dress with pockets and I just couldn't find a pattern I liked, but I figured I could figure it out myself. 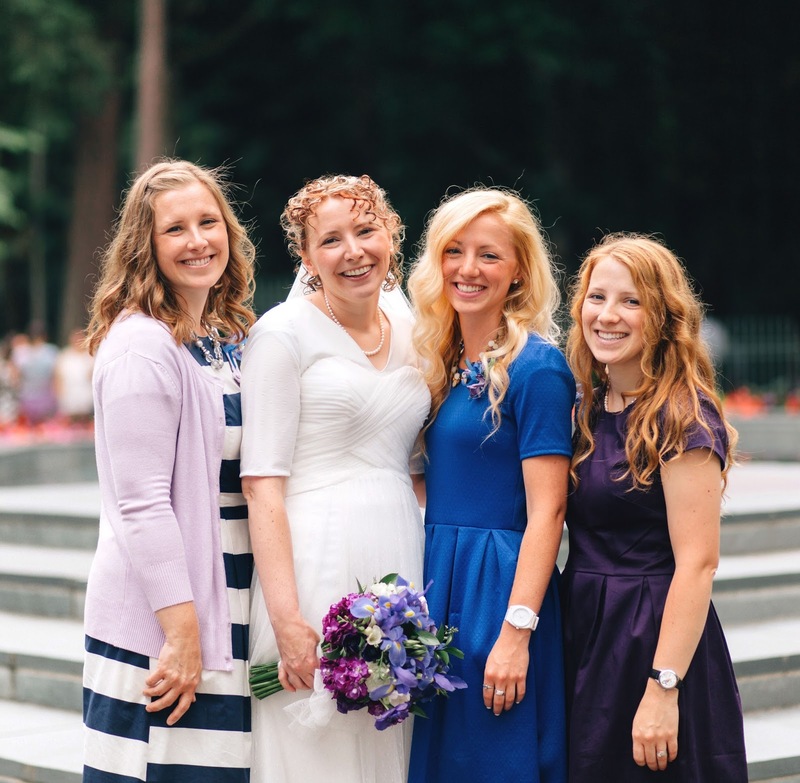 Funny thing is that my other two sisters wore pleated dresses too (totally not planned). And yes, I am the shortest sister. Pattern for a bodice - I used the pattern New Look 0909 for the bodices. 1|| Sew up your bodice per your pattern instructions. 2.5" (pleat size) x 2 x 4 (the number of pleats on the front) + 27 (waist measurment) + 1"(seam allowance) = 68"
Because I'm a little paranoid, I added on an extra inch or two to the final width. 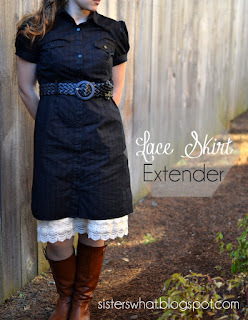 Determine the length of the skirt and then cut your rectangle out. If you are doing pockets, you want to cut this rectangle in half. You'll need an extra 1" for zipper seam allowance, so my front piece was 33" and my back 35"
Now make your pleats in the front. After I made my 2.5" pleats I lined it up with my bodice to make sure it would line up nicely with the side seams. Because I added an extra inch, I ended up cutting a little off on the edges. Before you add the pleats to the back, cut it down the middle (you'll need it for the zipper). 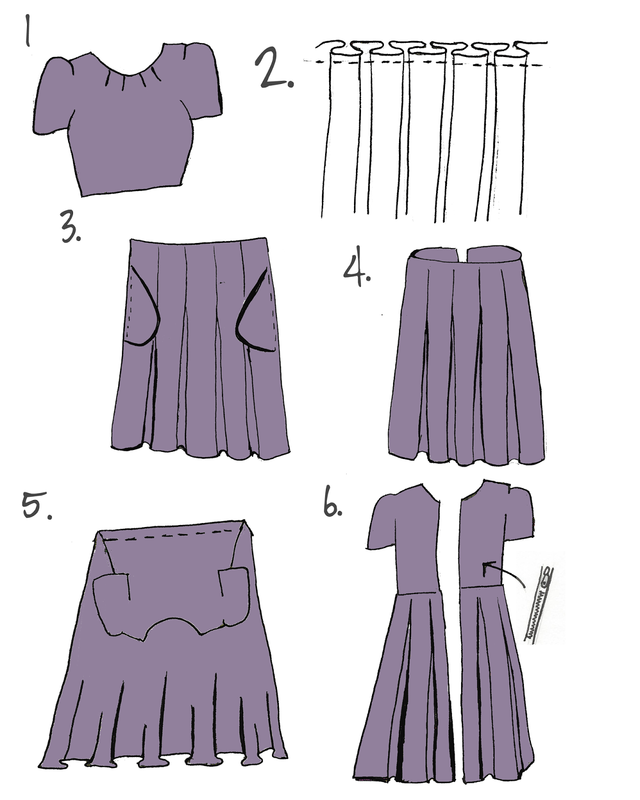 Then make your pleats. Baste stitch your pleats on all three panels. 3|| If you are doing pockets, add the pockets following the pattern instructions. 4|| Now take your two back pieces and sew right sides together to front piece. 5|| Now attach the bodice to the skirt; with right sides together attach the bodice to the skirt and sew at waist line. 6|| Follow your zipper instructions and attach the zipper to the back. Sew up the rest of the skirt back seam. Make sure to hem the bottom of the skirt and finish any inside seams. And that's basically it.